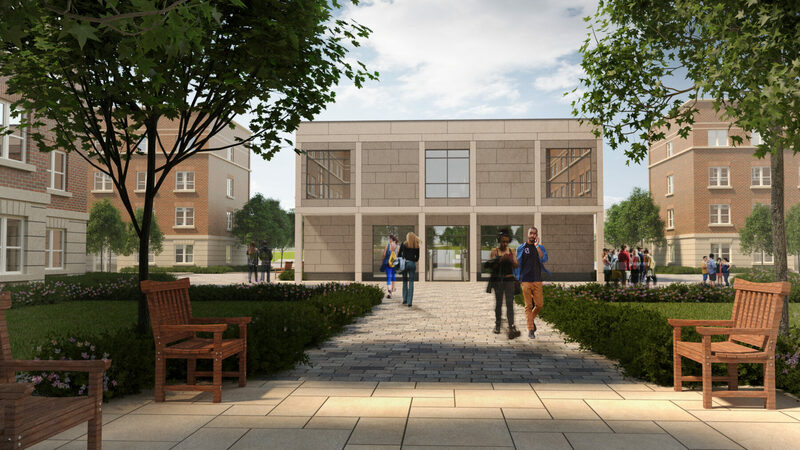 Work has started on site on our £105 million scheme for Durham University. 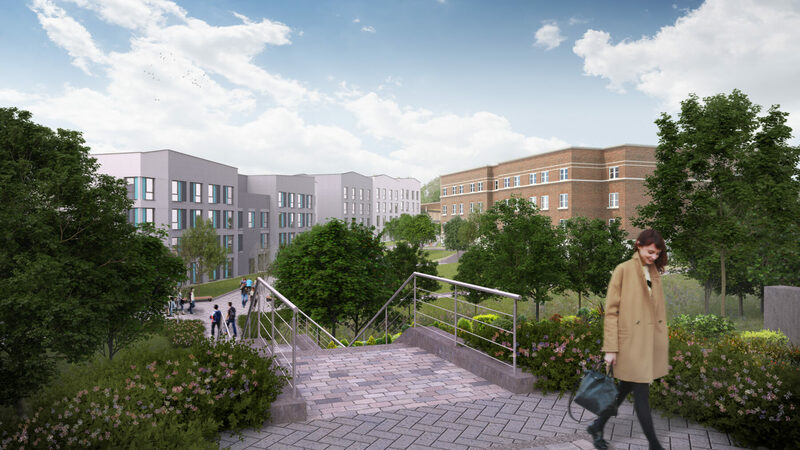 The Mount Oswald project delivers two new college facilities – totalling 1,000 bed spaces – plus a feature new University hub building with 300-seat banquet hall, sports and music facilities. The project will mark the first new Durham University college to be founded in the city since 2006. The project was secured through a competitive dialogue process. The scheme creates two distinct colleges, focussed around collegiate social and administrative facilities, set within a high-quality landscape. The construction solution includes concrete panellised off-site production, including sandwich panel architectural facades, which will provide an incredibly robust structures with factory finish quality. The proposals were developed by the Design Team of: Willmore Iles Architects, DP Landscape Architects, Curtins Consulting and Building Services Advisory Partnership. The consortium delivering the project is made up of Interserve, fund and asset management firm Equitix and on-campus student accommodation developer and operator, Campus Living Villages UK. The consortium will design, build, finance and operate two new college facilities on a 51-year concession. The scheme will be completed in 2020. A member of the Russell Group of leading research-intensive UK universities. Durham is consistently ranked as one of the world’s leading universities as shown by its World Top 100 position in two influential global league tables. In national league tables, Durham is consistently recognised as one of the top universities in the UK. The University is ranked fifth in the Times and Sunday Times Good University Guide 2018, fifth in the Guardian University Guide 2019 and sixth in The Complete University Guide 2019.